Have you assumed that you'll just have baby in hospital? Have you been thinking about alternatives? Do you think that home birth sounds a bit out there? 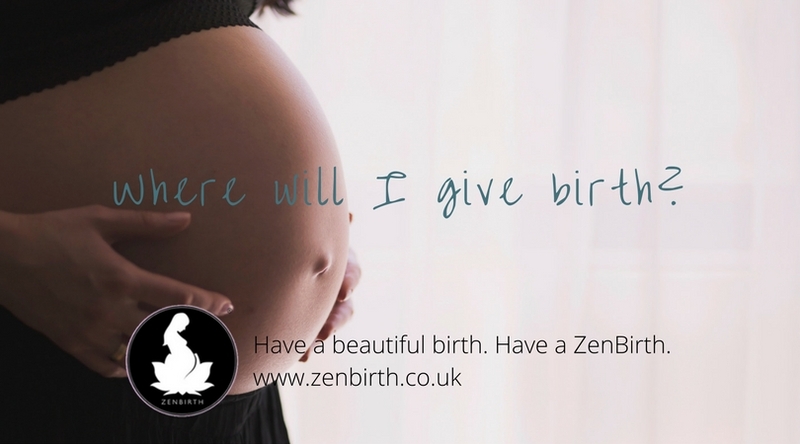 With so many interesting questions and discussions during my antenatal classes recently, I’ve been thinking a lot about birth place options, who attends women at births and how expectant parents feel about the choices they have available to them. I’ve also been thinking about the fact that, in the UK, we are really very lucky about the range of options available to us. Though not perfect, the NHS really does give expectant parents a good range of options in the maternity care they receive. It's worth noting that in the UK all women have access to midwife-led care. Midwife-led care supports women to have better birth outcomes. In some countries, this is simply not available at all, or is a major exception to the rule. For example, in the US, the majority of women usually get cared for by an obstetrician as a matter of course, whereas, in the UK this is only deemed necessary if there is a health condition that requires that kind of specialist, medicalised care. I was shocked when I learned that the practice of midwifery is actually illegal in ten US States. Of course, I have the greatest respect for obstetricians, as their skills and knowledge save the lives of women and babies who have special medical circumstances. However, obstetrician-led care for low-risk, healthy women and babies, is more likely to increase unnecessary medical interventions. Advanced medical training, techniques and procedures all have their place, and should certainly be used when they are absolutely necessary to the well-being of mother and baby. Low-risk women don't strictly need care from an obstetrician. Because obstetric-led care tends to be more medicalised, there also tends to be less focus on ways those professionals can support women through the normal, natural rhythms of the birthing process. Birth is a process that does not need to rely on medical intervention (drugs, instruments and surgery) as standard, with routine intrusive checks and monitoring which can interrupt the natural, calm rhythm of labour. In the UK, we benefit from midwifery care in the first instance, with the support of obstetricians or other specialists when necessary. For that, we are very fortunate indeed. We have the best of both worlds available, although at varying levels in different areas of the country. Unfortunately, we do have a shortage of midwives in certain parts of the country. And this puts real pressure on the system. Where there are shortages in staff, sometimes over management happens or birth doesn't always go as a woman would ideally like. But that is a large topic for a different blog post. The main thing is that at least we've got a choice, and midwives are available to every pregnant woman in the country. Also, in the UK maternity care system, we are fortunate to have choice about where to give birth. We have our standard maternity units, staffed by midwives, and with consultants always available should any medical intervention become necessary. We have birth centres, which offer a ‘home from home’ experience. These are entirely midwife-led and offer the opportunity for low-risk mothers to birth their babies in a calm environment which provides everything to support natural birthing. In addition, women in the UK all have the right to be attended by NHS midwives at home to birth their babies. This is something unheard of in some countries. In some countries, midwives have been imprisoned for attending home births: Agnes Gereb's case in Hungary received much media attention. Where a woman is low-risk, home birth is an attractive option as there is no need to change setting in the middle of labour, and disrupt the natural flow of things. Women don't have to be on an impersonal hospital ward after the birth, and dads aren't sent home after the birth and only allowed to see their partner and new baby during visiting hours. That means that mother, father and baby can enjoy their 'love in' together in the comfort of their own home. Of course there are pros and cons to each option, and this depends on each couple’s personal feelings about the comfort and safety of each option. Feelings of calm vs. feelings of anxiety can really affect the birth experience; indeed, that is central to hypnobirthing's approach to child birth. The more relaxed one is during birth, the better things are for mother, father and baby. The main thing that seems to help couples in my classes when deciding for themselves, is to be well-informed and to use the knowledge they gain to make a choice they feel confident about. By learning about the range of options provided by their local maternity services teams, parents get a better sense of what to expect once labour starts and baby is ready to arrive. There is certainly greater support in many areas of the UK these days for women seeking to have a natural birth (in hospital, birth centre or at home), without being overly managed by medical staff. It does seem that birth centres and home birth are becoming more attractive options, which benefits not just parents and babies, but also the health care system as natural birth is a lot cheaper at the end of the day. If you are interested in learning more about birth place options, have a look at the NHS page on choices for birth location. Also this website provides useful information about home birth as an option for low-risk women. Whatever you choose, I wish you a beautiful birthing day! And remember, relax and breathe.